Direction Line Marking can work in your "downtime" providing 24/7 Customer Service to match your needs. 1. How to Prepare Surfaces to ensure best Line Marking results? 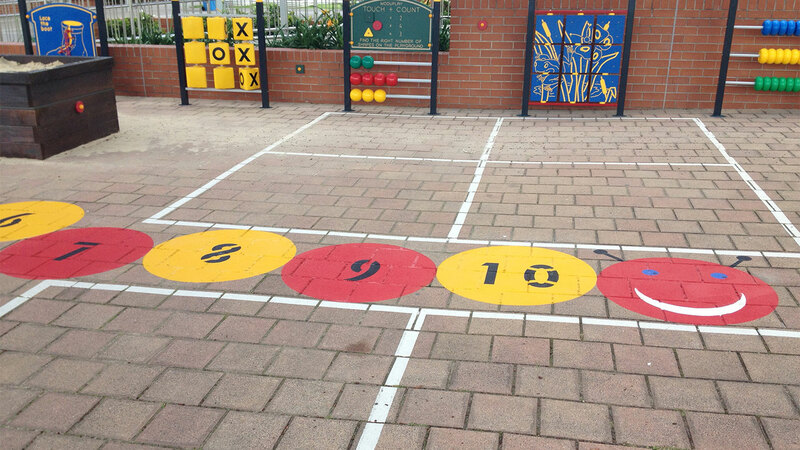 For heavy use or hard to access areas consider using Preform Thermoplastic markings. Preform thermoplastics are formulated preformed pieces laid out and applied to the road surface through blow torch heat and will last up to five times longer than paint applications. Concrete areas need to be sealed prior to application of thermoplastic. Direction Line Marking provide sealant service in quotation. 5. How can I make line markings safer? Direction Line Marking ensures that line markings >200 mm wide contain appropriate application of anti-slip grit and reflective glass bead additives. Approved road marking paint and additives ensure safety for pedestrian zones including disabled parking symbols and other pedestrian areas. Call Dave Knipler directly for a free onsite consultation to improve safety at work and manage pedestrians in trafficked zones. Direction Line Marking has built its reputation on return clientele and referral. "I am proud to recommend Direction Line Marking, you will be dealing with people who are honest, reliable, experienced and competent…. What more need I say." © 2019 Direction Line Marking. All rights reserved.